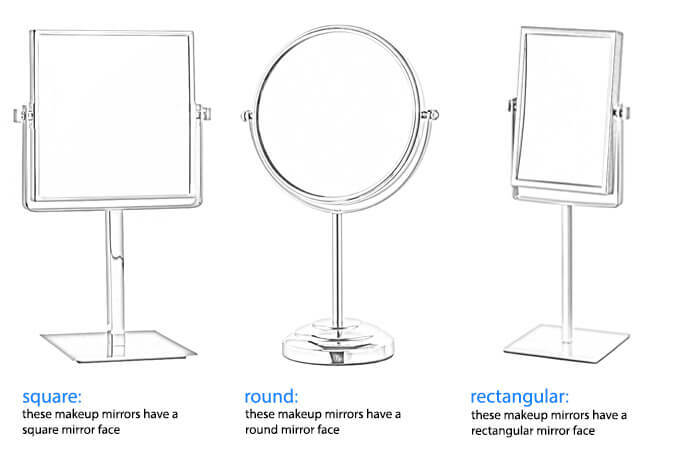 Need a makeup mirror? 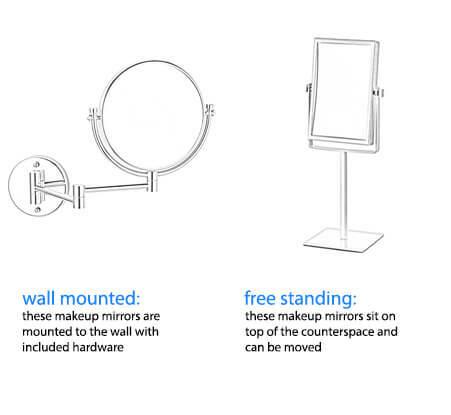 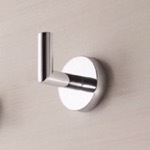 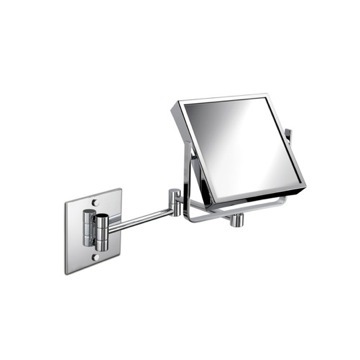 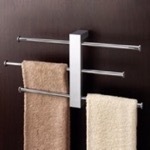 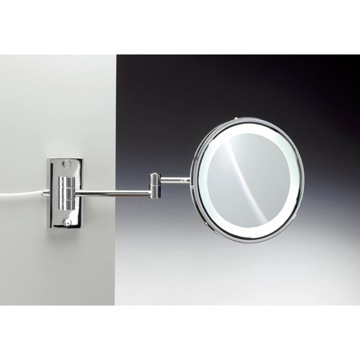 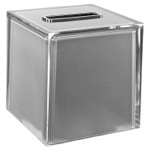 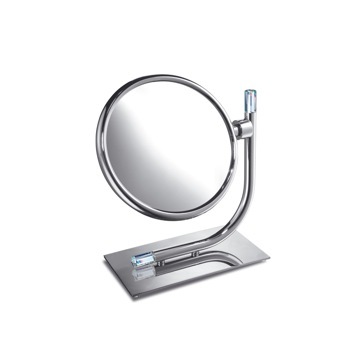 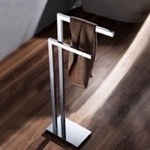 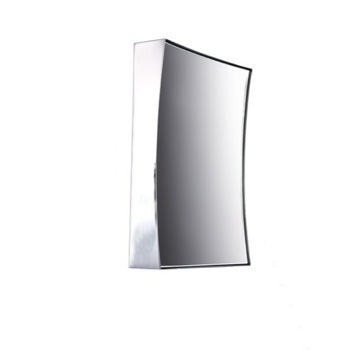 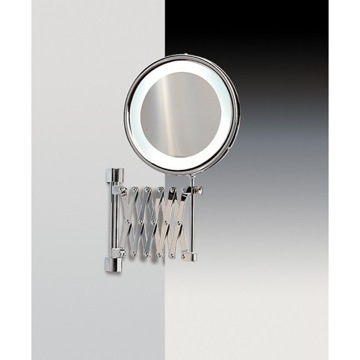 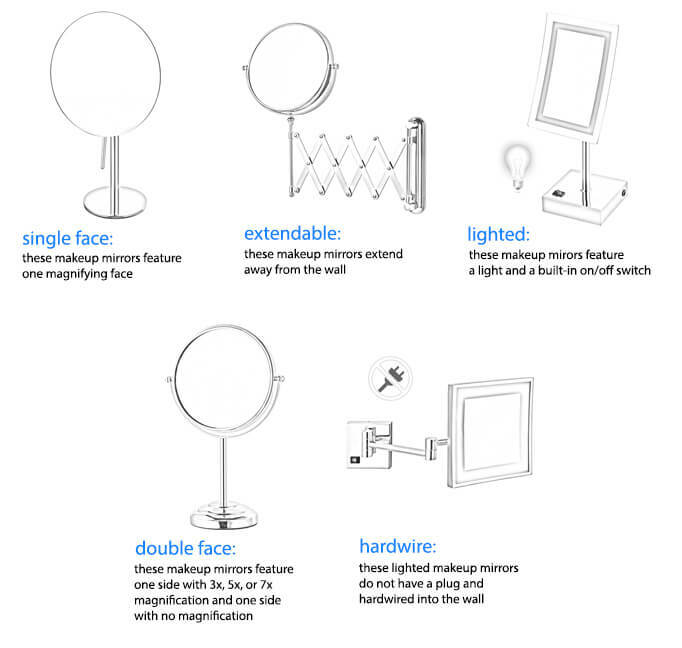 This one is a free stand modern optical mirror that will fit perfectly into your contemporary personal bathroom. 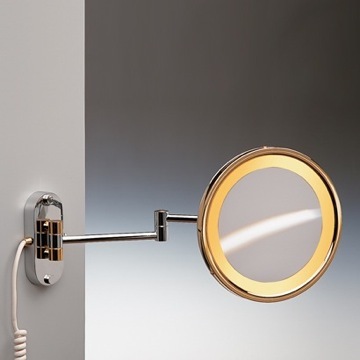 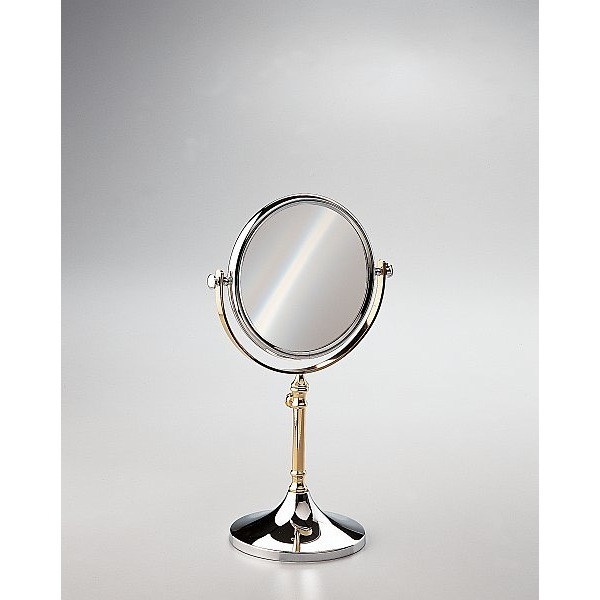 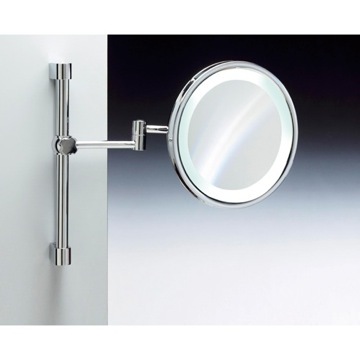 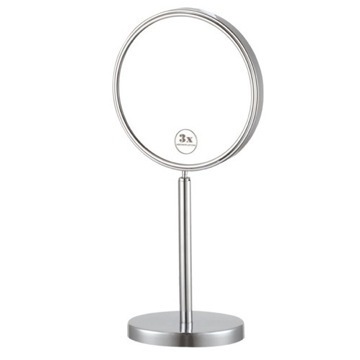 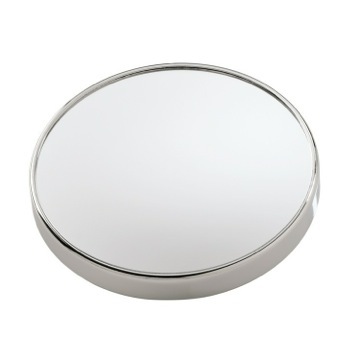 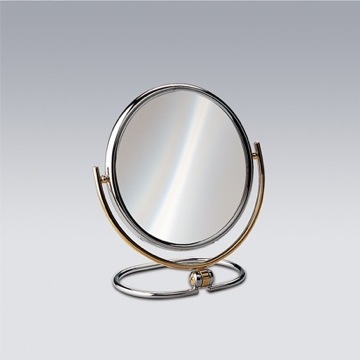 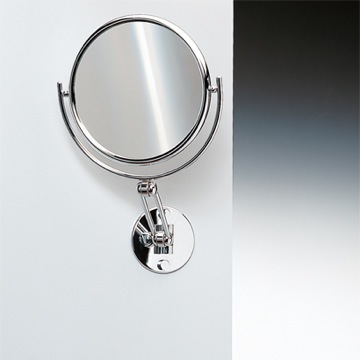 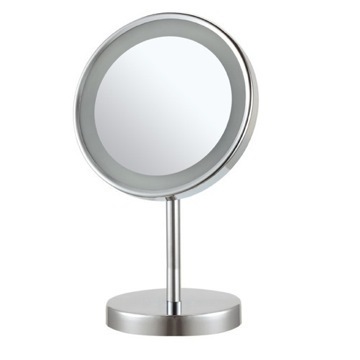 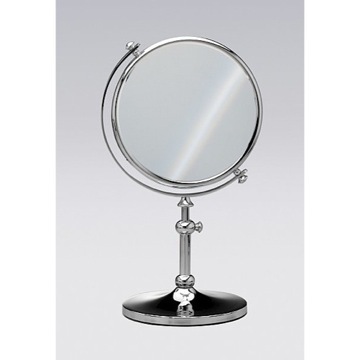 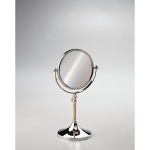 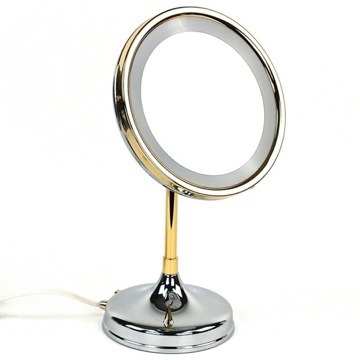 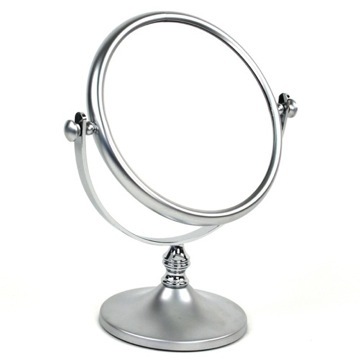 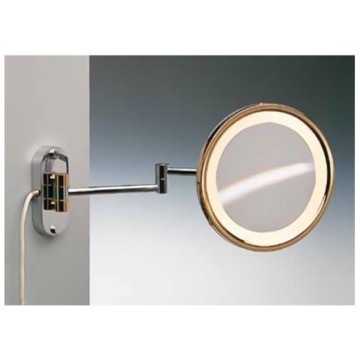 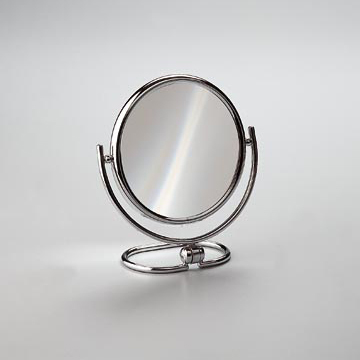 Made in Spain by Windisch, this quality makeup magnifying mirror is built with extremely high quality brass and coated in chrome, gold, or chrome and gold. 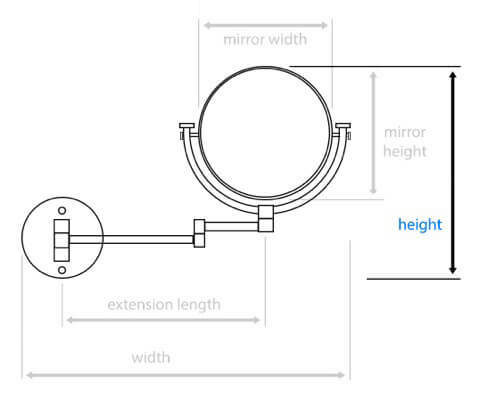 How do I know what magnification to use? 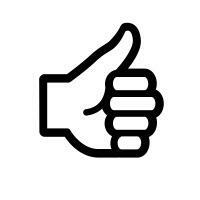 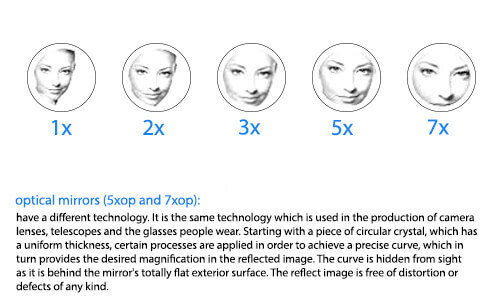 Magnification is sole preference of the buyer. 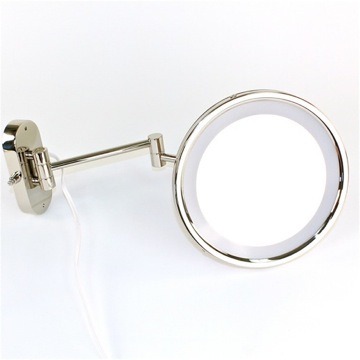 Please see attached examples of magnification coverage for assistance in finding the magnification you would like.